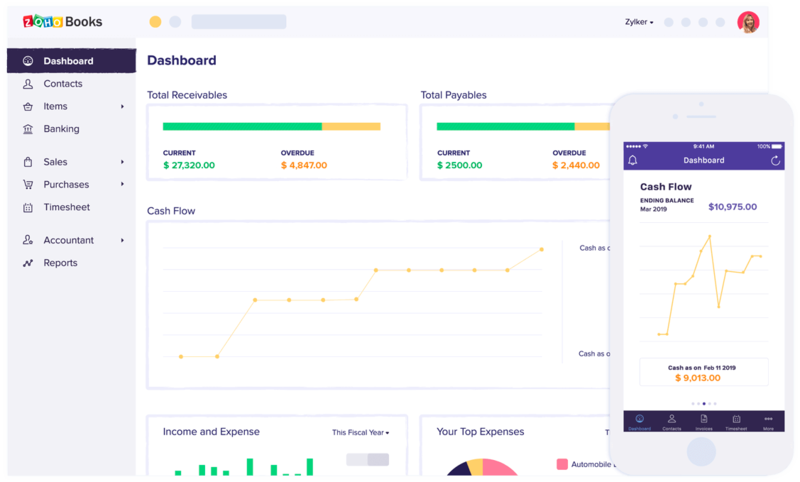 Zoho Books is all-inclusive accounting software that helps you manage your receivables and payables, get tax-ready, collaborate with employees, automate your workflows, and keep an eye on your financials. Zoho Books cuts down tedious data entry. Set up reminders to collect invoice payments and pay your bills on time. 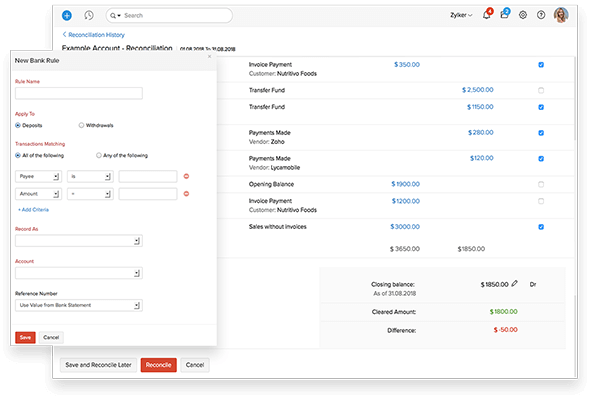 Create recurring invoices, auto-charge for recurring transactions, and put categorization on autopilot with powerful automation. Zoho Books is tax compliant and adheres to local tax regulations, ensuring your business stays tax ready at all times. Compute tax liability in seconds, generate tax reports, and always be worry-free during tax season. Zoho Books makes it easy for employees to collaborate and work together, regardless of their location. Assign roles to users, grant them appropriate access, and work together across departments with ease. Let customers know your bids with clear-cut estimates. Convert accepted estimates into invoices automatically with minimal intervention. Simplify chasing payments using reminders, and get paid easily through online payments. 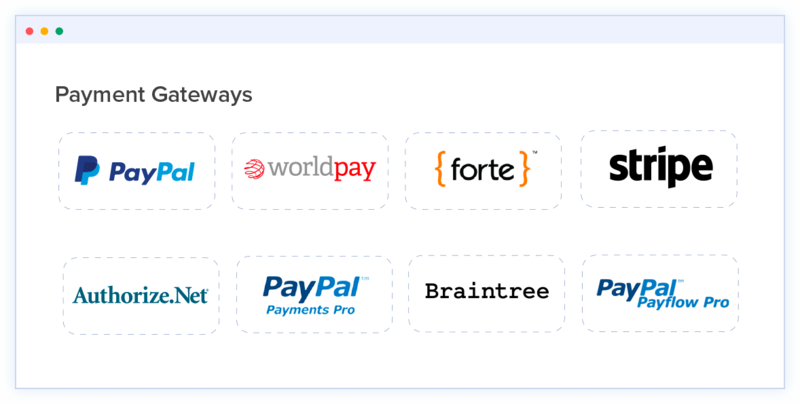 Make payments seamless by integrating Zoho Books with various online payment gateways. 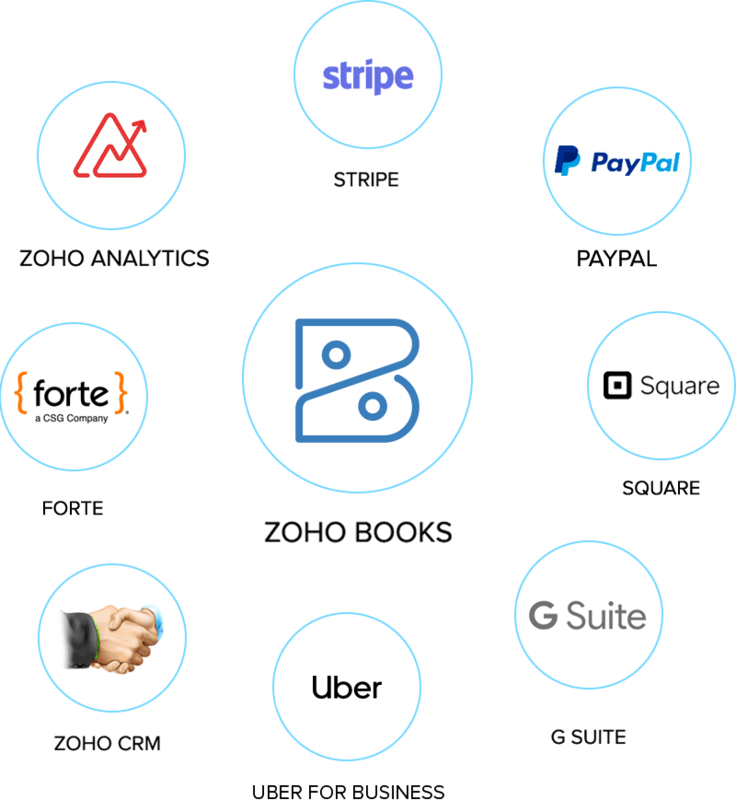 Receive payments in minutes, and gain the trust of your customers with a safe and familiar payment environment. Associate auto charge for recurring transactions, send invoices, and get paid automatically every time. Categorize expenses for simplified expense tracking. Record bills for expenses and keep track of them until they are paid off. Capture mountains of receipts with auto-scan. 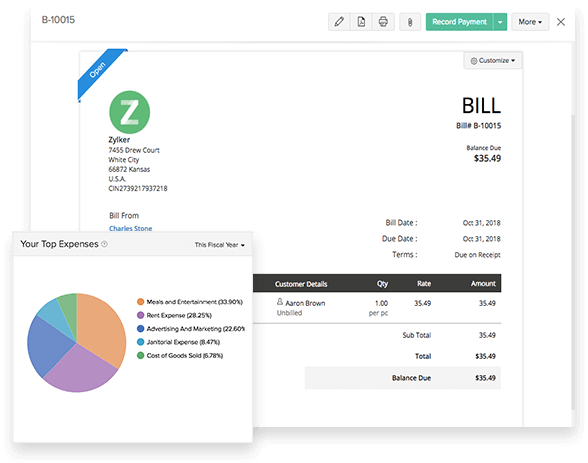 Simply upload your receipts and let Zoho Books extract data for you. See a summary of your banking history and entire cash flow from the banking dashboard. Get automatic feeds into your accounts, reconcile them in minutes, and be tax ready at all times. Categorize transactions automatically by setting up rules, and go beyond borders with multiple currency support. Manage multiple projects easily by adding tasks, and assigning them to specific employees. 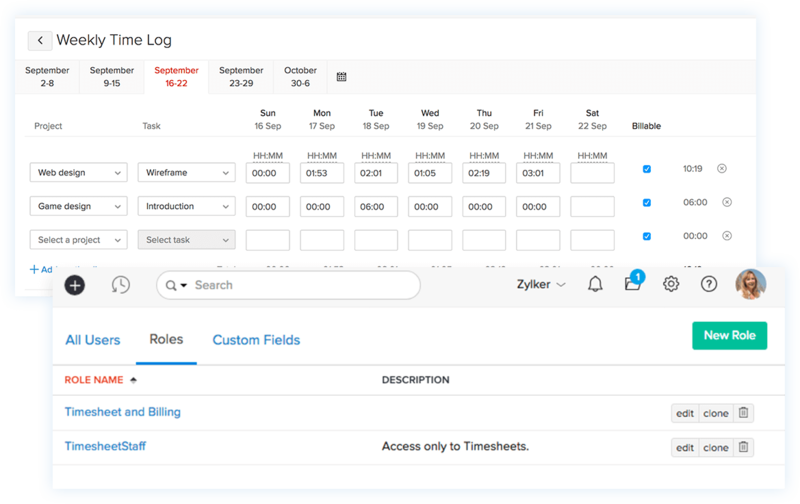 Give 'timesheet only' access to employees and let them log time spent on projects. 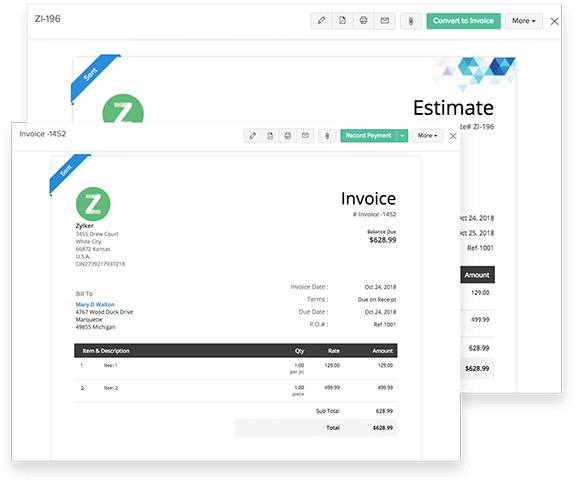 Use timesheets to invoice customers, and get paid for the time you spend on their projects. 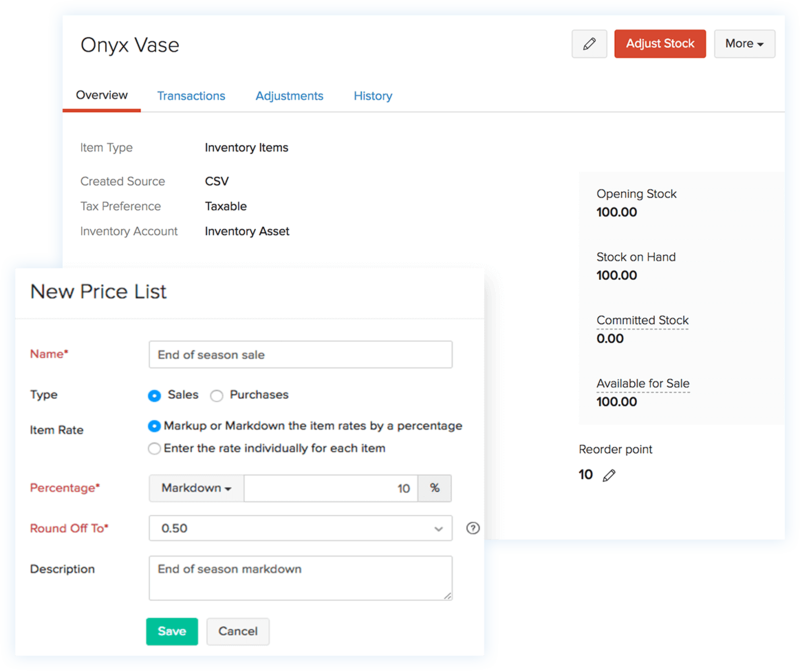 Add items, and track inventory for your entire range of products. Set customized prices for customers with price lists. Keep tabs on availability, set reorder points, place orders at the right time, and ensure that you never run out of stock. Associate reporting tags with transactions so you can create filtered business overview reports. Get insights into your business health with financial reports like Profit and Loss and take informed business decisions for the future. 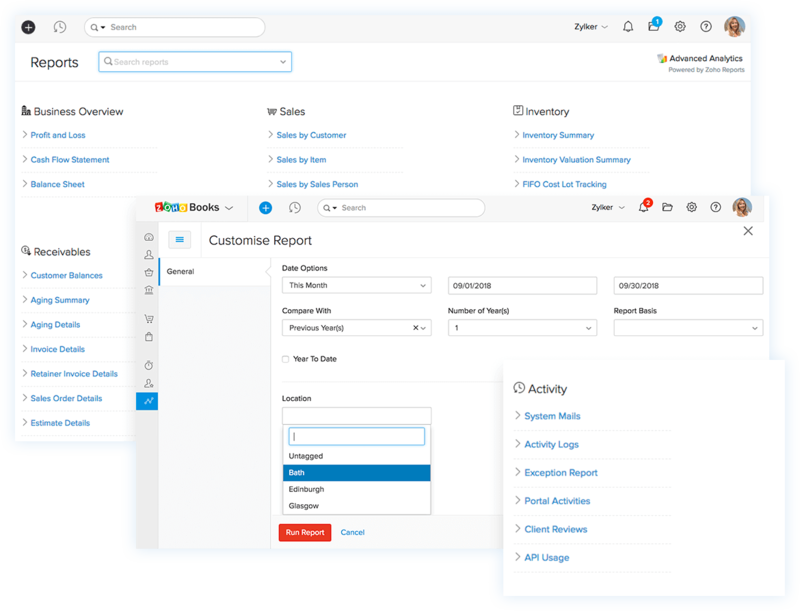 Generate activity log reports, get audit trails, and oversee changes made to your transactions. "I've not seen anything as affordable and easy to use as Zoho Books. The reports are simple to run and can be scheduled to generate automatically. As a small business owner, I no longer worry about ageing receivables with the automatic payment reminders in Zoho Books." CEO, Dynamic Image Marketing Systems, Inc.
"Good soft for small business. Quite easy to use. Here we have almost everything we need in our day to day work. I do like bank feeds and reconciliation history for checking if nothing is missed (with me sometimes it happens). Very simple tax reports." Your business accounting, in your hands, literally! 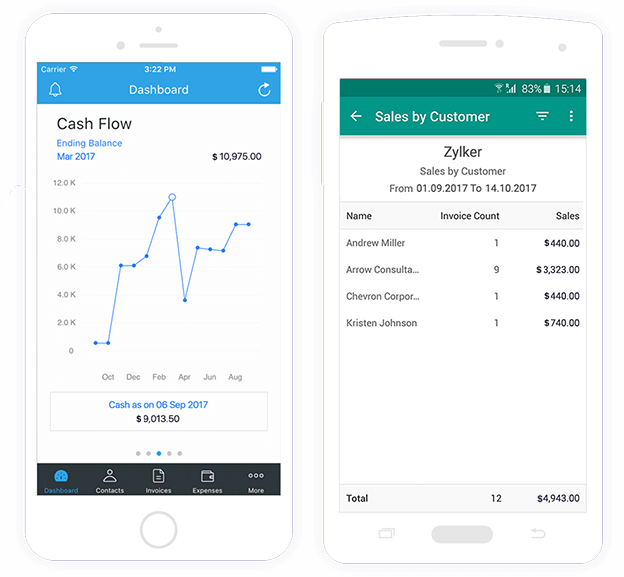 Manage accounting right from your mobile phone with the Zoho Books app, now available for Android and iOS.